Human resource departments must adhere to very specific legislation regarding document retention and access control - and it's imperative that companies are compliant at all times, as being in violation of these regulations can be very expensive. management solutions for their HR departments. 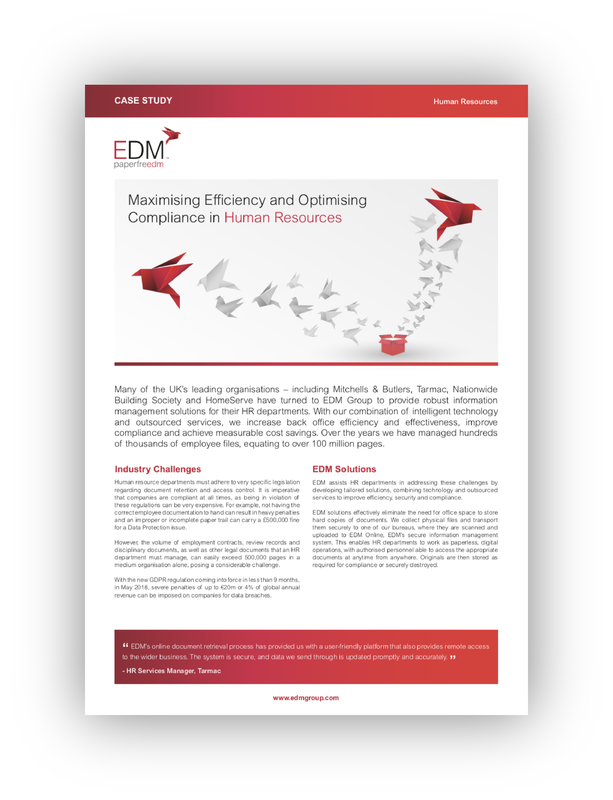 Download this Case Study to discover how implementing EDM’s solution has achieved efficiency gains and helped optimise compliance for these organisations.